Get your message in front of customers when they are most likely to be thinking about your products. Use marketing data mined from your contacts to design an offer more likely to cause action. Make the offer count by making it something of real value to the recipient. It is not “one size fits all”, it is communicating “one-to-one”. Data-driven marketing, tailored to the recipients, is more accurate, more creative, and more efficient than non-directive marketing. Use data to find others who “resemble” your best customers. Your database is one of your most valuable assets and likely to be one of the most underutilized. Change that! Faxitron is part of the Breast and Skeletal Health Solutions division of Hologic, Inc. which strives to advance early cancer detection, more certain diagnoses and accurate and compassionate treatment. We apply cutting-edge science to accelerate discovery, improve efficiency and continually sharpen precision. For women facing breast cancer, Hologic is there from screening through treatment with technologies that advance early detection and the highest quality interventional products when necessary. For more information, please visit us as www.faxitron.com and www.hologic.com. Since 1983, the Primavera Foundation has provided tangible pathways out of poverty through safe, affordable housing, workforce development, and neighborhood revitalization. Each year, our programs impact more than 8,200 individuals and families across Southern Arizona. Through partnerships with volunteers, donors, neighborhoods, community-based organizations, businesses, and public entities, we offer four vital areas of support through: survival, stability, security, and sustainability. 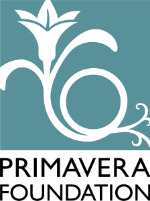 Primavera’s participants strengthen their skills, obtain steady employment, find safe, affordable places to call home, set and achieve realistic goals, build sustainable financial futures, advocate for their rights, and connect with their communities in meaningful, value-added ways. Learn more: www.primavera.org.